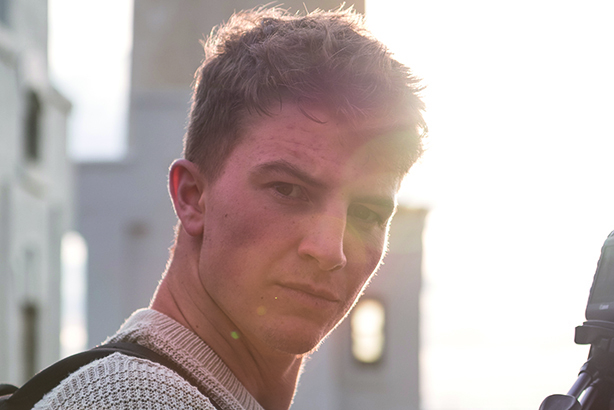 As part of PRWeek's 50 hot new influencers feature, we caught up with YouTube vlogger George Benson, whose daily video updates have earned him nearly 200,000 subscribers. I am George Benson, a YouTube daily vlogger. I began posting gaming videos on my channel, HurderOfBuffalo, almost five years ago. Since then, I started up GeorgeBensonVlogs, and now film my life, and post the following day. My vlogs focus on spending time outside, travelling, sport and having a positive lifestyle. I’ve worked with a number of brands including Currys/PC World, Nike, Sky and TomTom. I’m also the YouTube ambassador for WaterAid, a charity with a purpose I feel strongly about. The kind when the product or service is directly relevant to me and the interests of my audience. It is important to have my own brand as my number-one priority when it comes to choosing brands with which to collaborate – and that means I won’t work with those that are not relevant to the overall style of my existing content. Brand collaborations that focus solely on trying to sell products do not hold much validity for my personal brand. I would rather integrate meaningful products within my regular content style. I receive a lot of offers from apps or companies that are not relevant to my interests or regular content. My favourite platform is Instagram as I am a keen photographer as well as a video-maker. Instagram is leagues ahead of other social-media channels when it comes to sharing photos. It is another avenue for me to expand my social reach as Instagram can offer a different audience to YouTube. I try not to post selfies all the time and focus my Instagram feed around photos I have taken of friends or landscapes. I would love to be doing what I am doing right now, vlogging daily, travelling the world and sharing my experiences with an audience. Of course, a lot can change within five years, but I love what I am doing now and, as long as I keep pace with the changes on my platforms, I am sure I’ll be doing something similar in five years’ time.